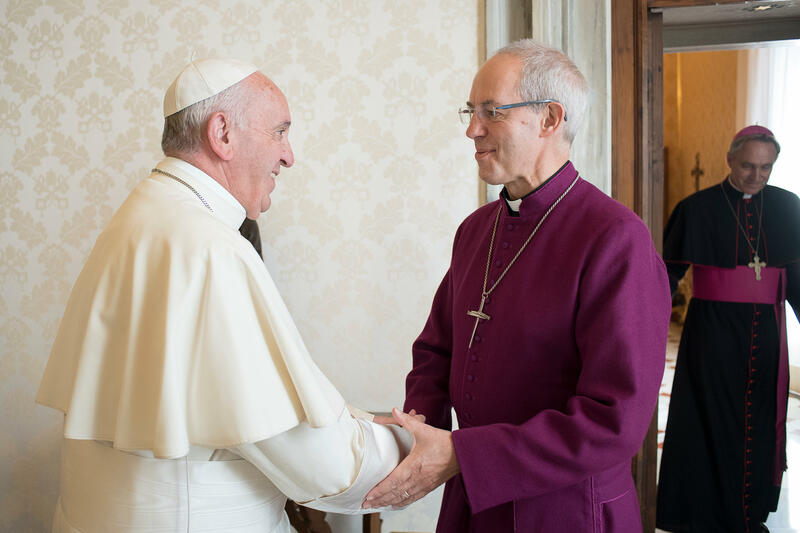 Here is a Vatican translation of the homily Pope Francis gave Wednesday evening at a celebration of Vespers with the leader of the Anglican Communion, the archbishop of Canterbury, His Grace Justin Welby. The Prophet Ezekiel uses a striking image to describe God: he is a shepherd who gathers his sheep scattered “on a day of clouds and thick darkness” (Ezek 34:12). The Lord, through the prophet, seems to be telling us two things this evening. This first has to do with unity. As a shepherd, God wants his people to be one, and he desires above all that pastors be completely committed to this. The second is about the cause of divisions within the flock. Amid clouds and darkness, we lose sight of the brother or sister at our side; we become incapable of seeing one another and rejoicing in each other’s gifts and blessings. The darkness of misunderstanding and suspicion deepens, together with the clouds of disagreement and controversy, often for reasons that are historical and cultural, and not simply theological. Yet we have the firm certainty that God loves to dwell among us, his flock and his priceless possession. He is a shepherd who never tires (cf. Jn 5:17) of urging us to press forward towards greater unity, a unity that can be attained only with the help of his grace. Hence we remain confident, for although we are fragile earthen vessels (cf. 2 Cor 4:7), God constantly pours out his grace upon us. He is convinced that we can pass from darkness to light, from dispersal to unity, from insufficiency to fullness. This path of communion is the way of all Christians and it is your own particular mission as bishops of the International Anglican-Roman Catholic Commission for Unity and Mission. To work always and everywhere as instruments of communion is a great calling. 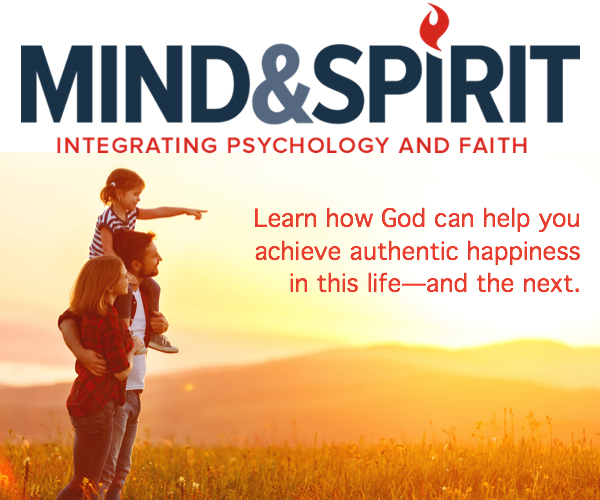 It involves working for the unity of both the Christian family and the human family. These two goals are not only not opposed, but are mutually enriching. When, as disciples of Jesus, we serve together side by side, when we promote openness and encounter, and reject the temptation to narrow-mindedness and isolation, we are working both for the unity of Christians and for the unity of the human family. We acknowledge one another as brothers and sisters with different traditions but inspired by the same Gospel to undertake the same mission to the world. It would always be good, before beginning a particular activity to ask ourselves the following questions. Can we not do this together with our Anglican brothers and sisters? Can we not witness to Jesus by working together with our Catholic brothers and sisters? By sharing tangibly in the difficulties and joys of the ministry, we again draw closer to one another. May God enable you to foster a courageous and authentic ecumenism, and to blaze new paths, above all for the benefit of your confreres in your provinces and episcopal conferences. We must always follow the example of the Lord himself, his pastoral method. As the Prophet Ezekiel has told us, this means going out in search of the lost sheep, bringing back the stray to the sheepfold, binding the wounds of those in pain, caring for the sick (cf. v. 16). Only in this way will those who are scattered be reunited. In speaking of our common path as followers of Christ the Good Shepherd, I would like to start from the crozier or pastoral staff of Saint Gregory the Great. It can be a fine symbol of the profound ecumenical significance of this gathering. From this place, a wellspring of mission, Pope Gregory chose and sent forth Saint Augustine of Canterbury and his monks to the Anglo-Saxon peoples. He thus launched an important chapter of evangelization which is our common heritage and which binds us inseparably. It is fitting to see this pastoral staff as a shared symbol of our walking together towards unity and mission. At the centre of its crook is an image of the Risen Lamb. While reminding us of the Lord’s desire to unite the flock and to seek out the lost sheep, the pastoral staff also evokes the heart of our proclamation: the love of God in the crucified and risen Christ, the Lamb who was sacrificed and now lives. This love penetrated the darkness of the sealed tomb and burst open its doors to admit the light of eternal life. The love of the Lamb who triumphed over sin and death is the truly good news that we must join in bringing to those who are lost or have not yet had the joy of knowing the compassionate face and merciful embrace of the Good Shepherd. Our ministry is that of dispelling the gloom with this kindly light, with the non-violent power of a Love that conquers sin and overcomes death. May we joyfully acknowledge and celebrate together the heart of our faith. May we focus on it ever anew, without letting ourselves be distracted from the eternal newness of the Gospel by forces that entice us to follow the spirit of the world. This is the source of our common responsibility, the one mission of serving the Lord and humanity. Some writers have pointed out that the pastoral staff is typically pointed at its other end. This might lead us to conclude that it is not only a reminder of the call to guide and gather the flock in the name of the Crucified and Risen Lord, but also of the need to prod those sheep who huddle together too closely, and to urge them to move forward. The mission of shepherds is to help the sheep entrusted to them to go forth and actively proclaim the joy of the Gospel, not to remain huddled in closed circles, in ecclesial “micro-climates” which would bring us back to the days of clouds and thick darkness. Together let us ask God for the grace to imitate the spirit and example of the great missionaries, through whom the Holy Spirit revitalized the Church. The Church is reinvigorated when she goes out of herself in order to practise and proclaim the Gospel on the byways of the world. We think of what happened in Edinburgh at the outset of the ecumenical movement. It was truly the fire of mission that made it possible to surmount barriers and tear down walls which kept us apart and made a common path unthinkable. Together let us pray for this intention. May the Lord grant that from this place there may arise a renewed impetus towards communion and mission.